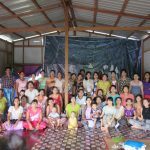 Started in December 2017, the FISONG project, funded by AFD (French agency for development) is focusing on the people of Ward 67 inside Dagon Seikkan township. Indeed, three organizations, organized in a consortium, are willing to help in creating solutions around waste management, livelihoods and social businesses. 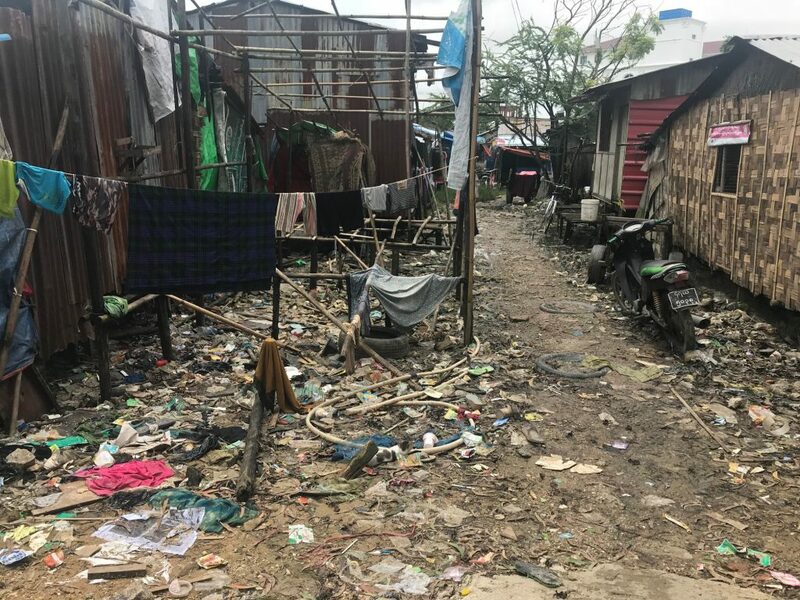 The slum settlement in Ward 67 is like one of the many slums at the fringes of Yangon city. Most of the families settled in Ward 67 came here after facing the scourge of Nargis cyclone in 2008. They have been displaced from their original home in the Delta region. The people of Ward 67 are living in high density settlements and have limited access to life essentials like water and electricity. Every morning, groups of children walk down the dusty side roads to reach their school which is 4 kilometers away; there is no transportation available to go there. In the yard, there is no provision for public education except the local monastery. If the residents need basic health care, the services are very limited. 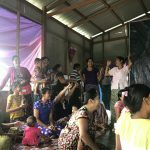 There is some small clinics but no maternity center for pregnant women; they often give birth in their house which is dangerous for their lives and for the newborns lives. 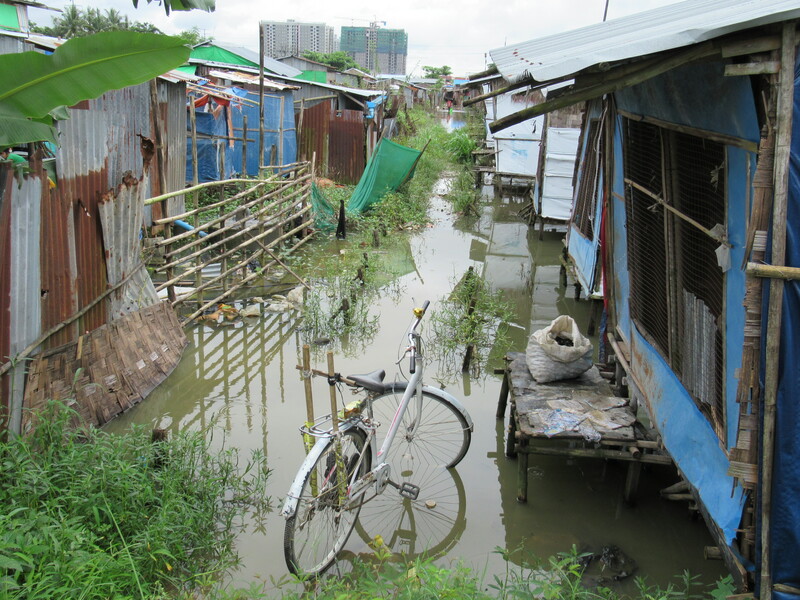 Moreover, settlements are located next to Bago river; during monsoon season the houses get inundated. One of the resident, Ni Ni Win, explain: “It gets so bad sometimes, we fear that our babies will drown when we go for our daily job”. For many residents like Ni Ni, the fear is real. In the future, the inhabitants of Yangon precarious neighborhoods will be the first victims of climate change. In addition, the community lies in a high risk seismic zone: they must be prepared for any eventuality. Disasters shocks will eventually impact lives in the yard in a negative way. That is why the community decided to invite three organizations to find solutions. The first step was to inform and train the community on climate change issues by using some informal methods. An awareness session has already been given by the FISONG project and more sessions are expected. Since the last 6 months there is a semblance of positive changes in the Ward 67. The FISONG project, funded by AFD has made several interventions to develop and empower the community. The scope of the project is to create a sense of community and organization within the yard itself to face the challenges of the future. 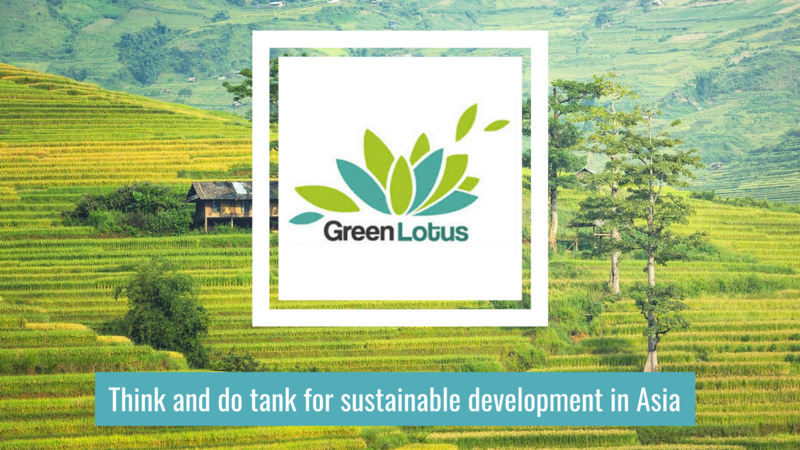 Green Lotus, the lead agency of the consortium is working with partners like Women For The World, a Myanmar association and ActionAid Myanmar. The three of them have taken proactive steps in developing a resilient and sustainable community structure in the yard. In Ward 67, women have been keen learners and proactive members of different groups formed to empower the community. Nearly in all committee meetings, women have shown high interest in participation compared to their male counterparts. Women come happily to meetings, in large number, to discuss issues that pertains to them. 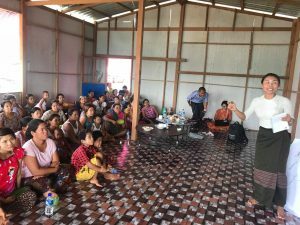 Women For The World has given training in using new tools: a group of Women have been initiated into the idea of savings and learned how it can help to plan family spending. Some women from Ward 67 established a small community fund. They can loan to own members as well as use it as common resource pool for community benefit. Another example, this group of women identified themselves the main issues that the community is facing. It came out that waste management was one of the biggest priority that they can tackle. They even mobilized themselves and organized a campaign around waste management. Slowly but surely, the community seems to gain a sense of ownership and to understand better the challenges they must face to go in the direction of sustainability. 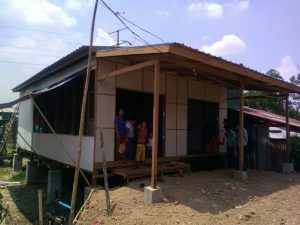 One of first successful structures in the yard was the construction of the community center; with the work the help of a community’s fund and carpenters. The community centre provides a space for members to interact and discuss on their daily struggles. Before that, it was difficult to find a common space. Inhabitant of the yards were dependent on Monastery or had to travel to other yards for training purposes. In order to find an economic potential in the yard, various business opportunities are being explored. In the last assessment, most women had shown interest in learning sewing and stitching. This is a valuable opportunity since there are many garment factories in nearby areas. 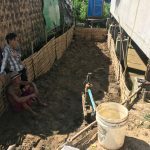 We can finally say that people are showing genuine care for the project and seems to be ready to face new challenges themselves, accompanied by ActionAid Myanmar, Women for the world and Green Lotus.